Ykra's canvas hiking backpack is made from heavy cotton canvas with premium Italian leather. 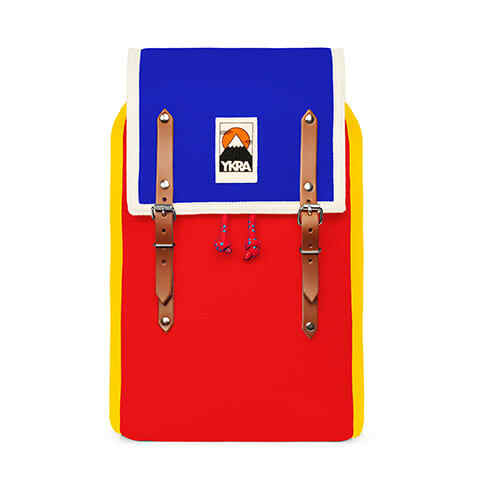 Inspired by the vintage mountaineering rucksacks of 1970’s. The Matra Mini Cotton Strap Backpack is their classic model, named after the highest peak of Hungary, the Mátra. Important: Cotton canvas is not waterproof, and intense rain may damage your backpack, or contents! For waterproofing use impregnating wax or spray, and avoid the leather details.